Whether it be a business travel or a holiday, choosing the right airline is important if you wish to avoid anxiety and stress. Once you confirm your destination with your travel agency and have decided to fly, it is time for you to choose the right airline. Nowadays, there are a handful of local and international airlines in operation – each offering different types of features and services at varying rates. 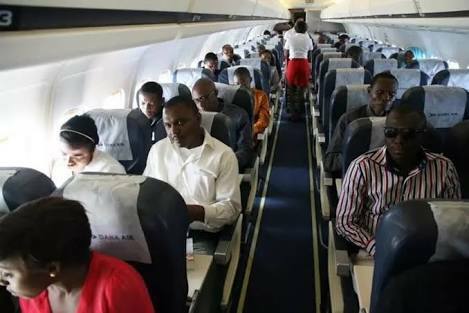 If you find it difficult to choose an airline, Jumia Travel shares tips to consider before booking an airline. One of the main things people look for when booking an airline is value for money. Ultimately, people want to get as much as they can for as little as they can. So, when choosing an airline, use your travel agency to help you find the best deal. Using a personal travel agency is beneficial as they know how to get a good deal so that you aren’t stuck with a bunch of hidden extra costs once you arrive at the airport. Budget airlines may have different baggage allowances and fees than larger and better known carriers. If you’re planning a multi-airline itinerary, it is essential that you pay attention to those fees for each separate leg of the trip. Again, consult your travel agency to look after this and plan your itinerary for you, as you don’t want to book an airfare thinking you got a great deal, and then show up to the airport and have to pay an overpriced baggage fee because you didn’t know. If you’re trying to decide between two airlines that both have prices you are happy with, but you cannot distinguish one from the other, you can easily see which one has more comfortable seats, better food and in-flight entertainment just by looking on their website. That way you don’t get stuck on an airline with limited leg room and no in-flight entertainment for the same price as an airline with complimentary snacks and a vast array of movies on show.